While you were sitting there complaining that Stephen Strasburg hasn’t ever been as good as he was that beautiful June day in 2010, moaning about his lack of in-game stamina, kvetching about his body language and procuring crackers for your crybaby soup over his Win-Loss record, Strasburg was busy being one of the best pitchers in the league. The ERA is 6.06, the FIP is nearly half that. Tells us a lot. Stuff is there, even if the velo is down a bit. Changeup is the problem. I’d invest. That’s a pretty impressive list. Sure, it’s not the very best in the league, but it’s top 15. That’s an ace, if you want to use such parlance. Now, there will be some who correctly point out his flaws. He’s only 31st in the league in IP over that time. Some of that is because he was shut down in 2012, some of it is because he hasn’t gone deep into games. And of course, he’s only ranked 28th in wins, because of everything from poor run support, to leaving games too early, to anything you’d like to name. But the truth is, if you’re talking about the caveats of why he ranks so high in FIP and not quite as high in ERA, or even more not quite as high (but still high) in Wins, you’re completely missing what a great pitcher he’s been over the last three years. Since the beginning of 2012, Strasburg has more strikeouts than everyone in baseball other than Max Scherzer, Kershaw, Felix and Darvish. His xFIP and his FIP suggest he has the results, AB by AB, of the very pitchers best in the league, and his ERA reinforces that by keeping him among the top 15. 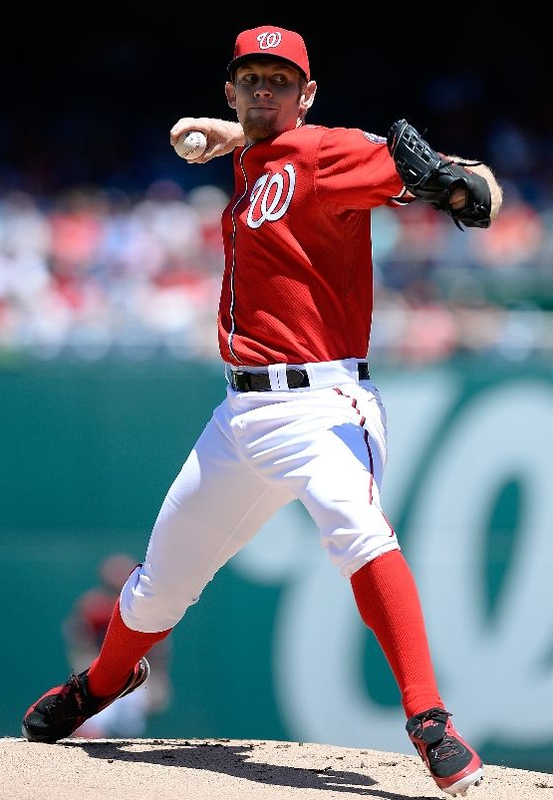 Yes, Strasburg has his flaws, and maybe he’s not what you hoped for when they drafted him. But if you’ve been complaining about those things, instead of marveling in everything else he was doing, you were missing out on one of the very best pitchers in baseball. So when he gets back to form, and starts doing that all again, maybe quit your whining and try to enjoy it a little.